Killing Floor 2 is a veritable amusement park simulator these days, it seems, what with all the various events that have been going on. Killing Floor 2 Twisted Christmas is no different, featuring Gary Busey. 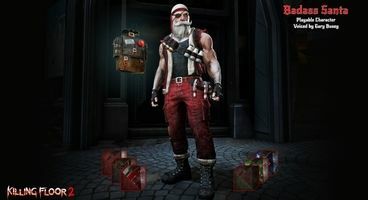 Indeed, the upcoming Killing Floor 2 update focuses on bringing the holiday leer and cheer to the game’s grim, mutant-infested universe. To keep you prepared, we’ve got the Killing Floor 2 Twisted Christmas Release Times! Even though Killing Floor 2 Garey Busey sounds like little more than a meme in the making, it’s what Tripwire, the developers, have prepared for us in the up-and-coming update. The legendary actor will be providing his vocal abilities to the game’s trader character for the duration of the event, as well as to the new Santa character. 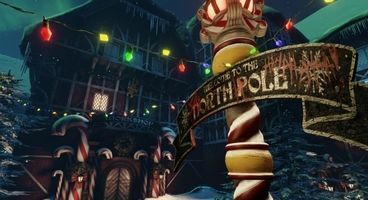 Players will also be granted access to the all-new Santa’s Workshop level, and as an added bonus, Tripwire are also getting ready to release the reworked Shopping Spree map as well. Then there are the new weapons, such as the Thompson SMG, or the Krampus Battle Axe. As usual, expect a whole lot of toys, elves, and mutated gifts to murder as you trudge through the snowy wastes of Killing Floor 2. 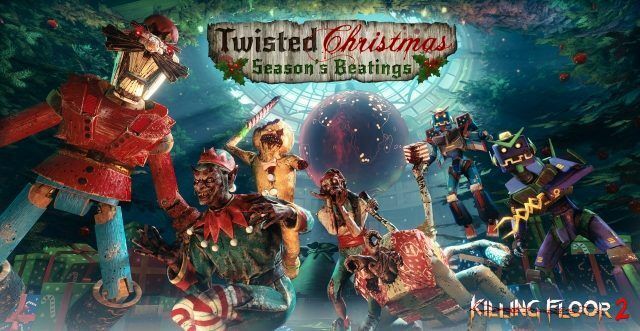 Twisted Christmas: Season’s Beatings is slated to release sometime early in December, so stay tuned!